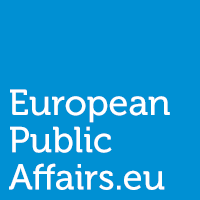 The Multiple Seats of the European Parliament – Role Model of Good Governance? Last Sunday was the big day where many European citizens cast their votes to elect the new European Parliament for the next five years. The European Parliament represents the interests of the European citizens through direct elections, but is still, up to a certain degree, ruled by member states. Unlike any other government in the world, some European member states decided half a century ago where the plenary sessions have to take place. By this, the EP is the only government worldwide that has no say in determining its location. By ratifying the Treaty of Amsterdam in 1997, member states ruled that the EP, with seats in Brussels and Strasbourg, is obliged to hold 12 plenary sessions a year in Strasbourg. Any breach against this rule would be an infringement of EU law. Thus, once a month the EP staff is required to travel from Brussels to Strasbourg, causing hundreds of trunks filled with office materials as well as documents are being shipped forth and back. The monthly travel contributes not only to 19,000t of CO2 emission to air pollution, but also requires the EU taxpayers to pay a yearly amount of € 180mio, used only to run the two seats. € 600mio was spent on new premises in Strasbourg, and another € 80mio was overcharged for renting buildings and offices in Strasbourg. EU governments agreed on spending some 600€mio on a new building in Luxembourg where the administration department is now based. This sums up to a total amount of 1,480€mio per year to maintain two seats. These costs make up nearly 10% of its overall budget in order to merely finance 12 obligatory plenary sessions a year in Strasbourg. A group of ambitious MEPs therefore started to run the singleseat.eu campaign to make EU citizens aware of the high economic, social and environmental burden that the so-called traveling circus causes every month. Considering the high burden the monthly travel creates, one could ask if this is the appropriate approach to meet the criteria of good governance, a model that is seen as a part of and taken into account in the policy making process by most governments. In 1992, the World Bank classified good governance as “the manner in which power is exercised in the management of a country’s economic and social resources for development.” Having understood that the EU has some degree of power over the lives of some 500mio citizens in 28 member states and by that, ruling one of the biggest economies in the world, it has recognised that the model of good governance should also be applied to the EU decision-making process. In 2010, the European Commission therefore launched a Communication on Smart Regulation, an updated version of the previous Better Regulation strategy from 2001. The main idea behind this is to revise all existing and new (non-) legislative acts to promote better application of regulation tools at EU level. Administrative burden and simplification of EU law shall be reached and impact assessments were being introduced to test the burden of new legislative proposals against environmental, social and economic determinants. Alongside the smarter regulation approach, the EU initiated the Europe 2020 strategy to invest in mechanisms striving for a greener, cleaner and energy-friendly environment. One objective is to tackle climate change and enhance energy sustainability by reducing the greenhouse gas emissions by 20 per cent or even 30per cent, if the conditions are right, 20 per cent of energy from renewables and to increase energy efficiency. In recent years, voices have become legitimately louder doubting that a multi-seat is still justifiable. A recent survey has highlighted that not only 88% of the European political groups, but also 1.27mio citizens, which have signed a petition, are in favour of a single seat. Moreover, numerous member states are also calling for a single seat, mainly because the monthly travel is indirectly financed through contributions to the EU budget from national governments. However, a few MS would like to keep the current situation as they fear a single seat in Brussels will bring an economic death valley to Strasbourg alongside high unemployment rates. The reasoning is elusive because some models on how to prevent an economic collapse were presented several times, but have not led to positive re-thinking by concerned member states. Though the European Commission strives for integrating good governance in the daily life of policy-making, it simultaneously poses a deadlock situation for both the EU and the national governments. On the one hand, MS have agreed to reach Europe 2020 targets. But on the other hand, they indirectly jeopardize the ambitious targets by keeping the monthly travel on-going. Can € 200mio be better spent? However, it is obvious that the figures speak for themselves. The multi-seat of EP premises has a remarkable economic impact on the EU budget and contributes to a tremendous amount of avoidable air pollution. By shutting down at least one EP building the EU could help remarkably to reach the climate goals and foster energy sustainability by reducing the greenhouse gas emission as set out in the Europe 2020 strategy. In terms of making the best use of resources, saved expenses can be allocated, for instance, to programs educating EU citizens on taking up a healthy lifestyle. The positive effect would be many-fold. For example, healthy citizens that are available on the labour market would not only boost the economy but also prevent people of being at high risk of poverty. Also, healthy and fit citizens would play an enormous part in contributing to reduced healthcare expenditures, the incidence rate of chronic diseases would remarkably decrease, and last but not least, it would also support DG SANCO’s goal of increasing the healthy lifespan of EU citizens by two years within the next decade. There are many more reasons why a single seat would contribute to a good governance approach. Only to mention one further, the Commission, MS and the EP could hardly agree on the multi-annual financial framework, making long-lasting conciliation meeting necessary to find a common compromise. MS were not willing to spend more money on the EU budget due to cuts in their national budgets imposed by the long-lasting financial crisis. However, € 200mio gained through maintaining only a single seat could have made a proper contribution to the EU budget. These savings would certainly not have done its job, to fill the gap between the Commission’s proposed budget and the amount of money MS were willing to provide to the general EU budget. But this may have been a good action to enhance good governance. If the EU would only reconsider a single seat, a big step towards an environmentally, social and economic friendly which aids in efforts to reach the Europe 2020 objectives and a governance approach that deserves to be called ‘good’. PreviousBetter Ownership of the EU: Key to Higher Turnout in the European Elections?